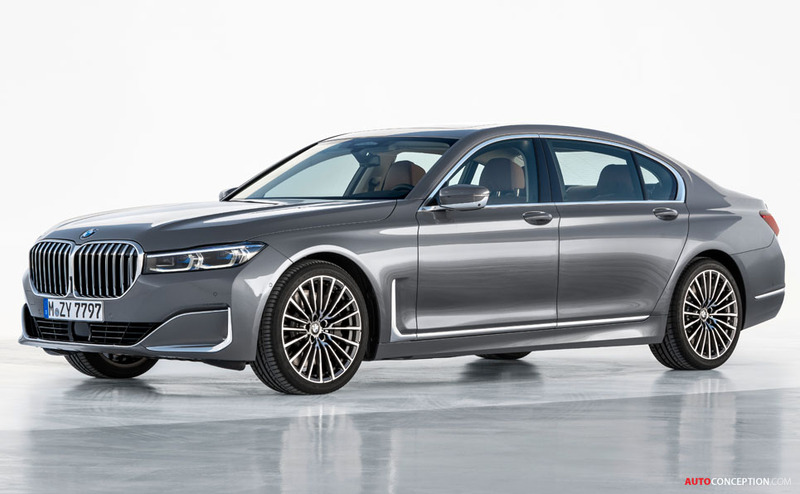 BMW has revealed the new 7 Series, with the latest iteration of the German brand’s luxury flagship saloon getting design changes both on the outside and inside. However, the model will continue to be offered in both standard and long wheelbase body variants. 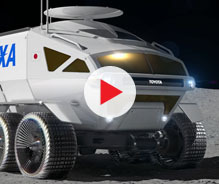 The longer version has a wheelbase extended by 14 cm over the standard car to 3,210 mm. Both variants have grown by 22 mm over their respective predecessors. 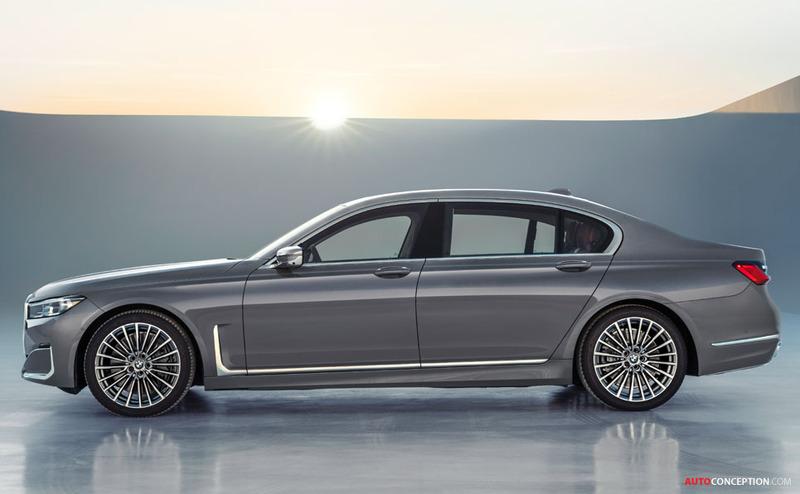 In terms of power, the car’s engine range has been updated to include a new eight-cylinder engine and an in-line six-cylinder unit with plug-in hybrid system offering extended electric range; the top of the range M760Li xDrive’s 6.6-litre V12 engine delivers 577 bhp and a peak torque of 626 lb-ft, enabling a zero to 62 mph time of 3.8 seconds (top speed is electronically limited to 155 mph). 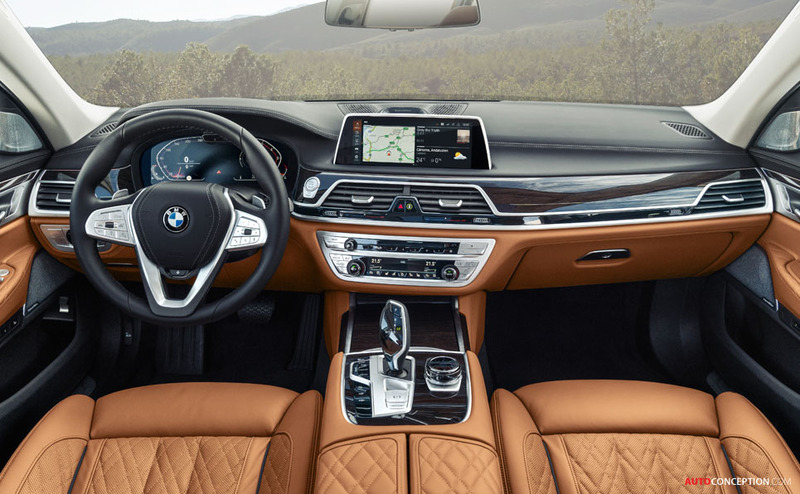 Externally, the new 7 Series bears a close resemblance to the recently unveiled X7 SUV, incorporating an extensive design refresh at the front end that is now around 50 mm taller at its foremost point. 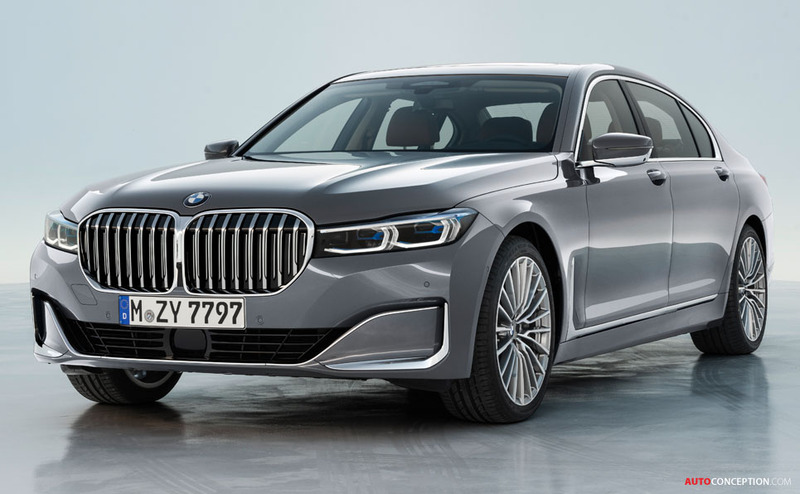 The traditional BMW kidney grille is now also significantly larger and features active air flap control with adjustable vanes that only open when the need for cooling air is increased. 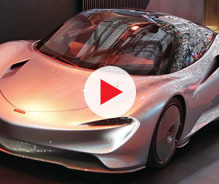 The exterior mirrors attached to the window are also surrounded by a thin stalk to further improve aerodynamics and the front side panels have been treated to a thorough redesign, too. 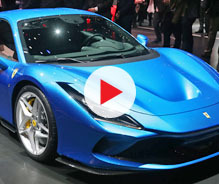 Additional aerodynamic-related updates include new air breathers that optimise the flow of air through the wheel arches, helping to reduce turbulence. Air outlets that are integrated into the side panels now extend much further upwards and their trim strips form a 90-degree angle with the side trim elements. 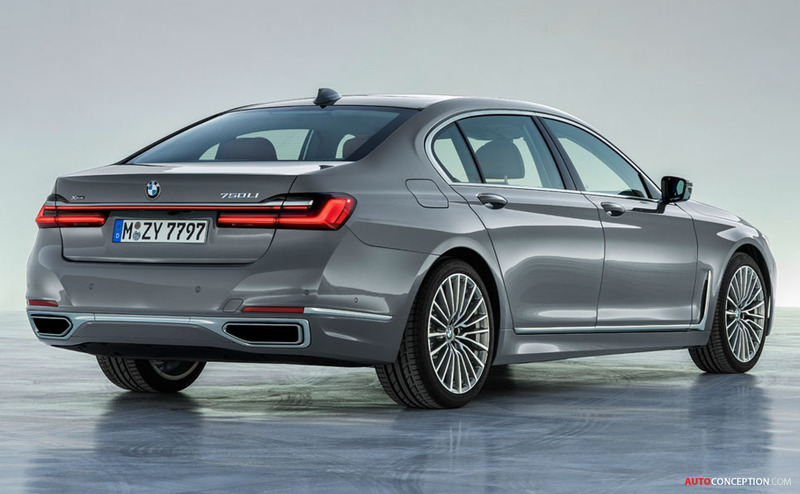 The air breathers on either side of the car also provide the starting point for a horizontal trim strip that runs above the side skirts and now reaches into the rear apron, both in standard form and when the M Sport trim level is specified. The M Sport model also includes side skirts. 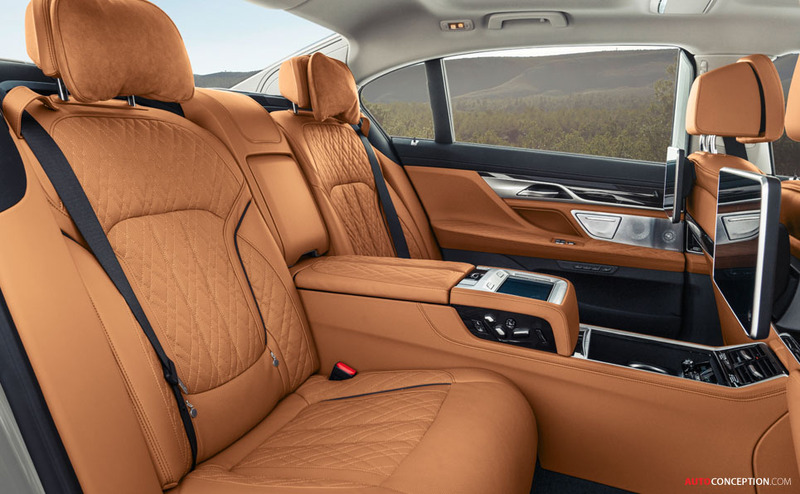 At the rear of the new 7 Series the outer sections of the rear apron adopt the design language used for the air intake trim in the front apron. The exhaust system’s tailpipes are edged in what are now wider chrome surrounds and are integrated flush into the lower section of the rear apron. 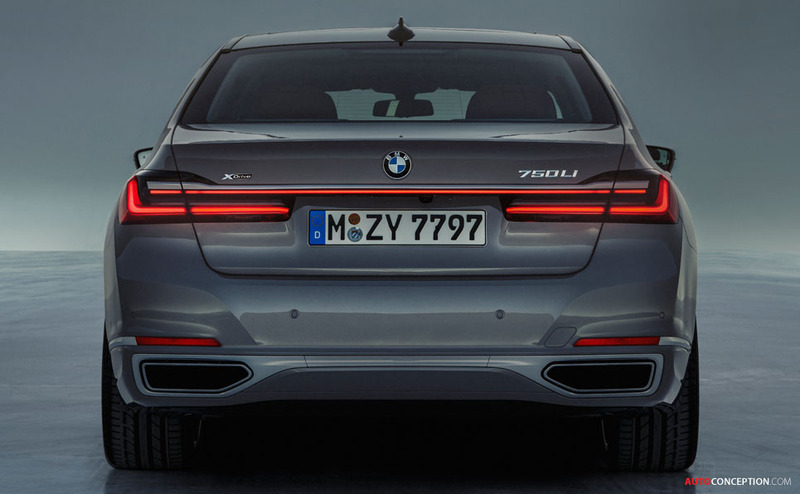 The three-dimensional rear lights are around 35 mm slimmer than on the outgoing car. 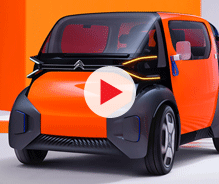 Other new features include a slim light strip sited below the chrome bar, which extends across the full width of the tailgate and connects the rear lights with each other. 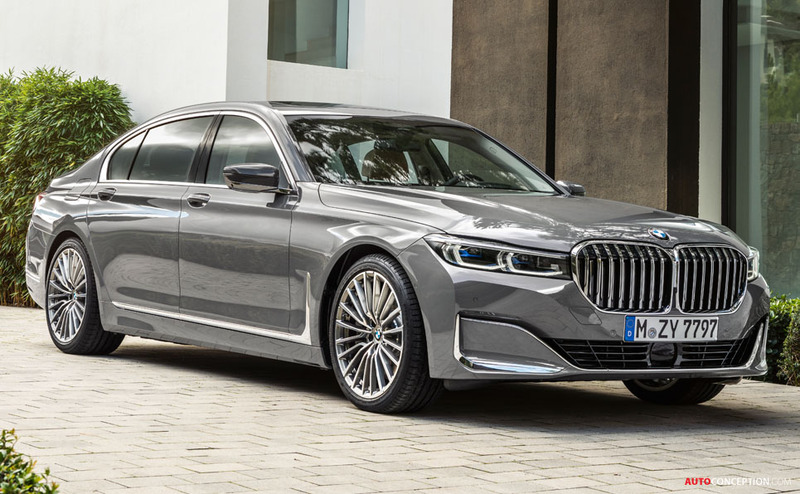 The new 7 Series is expected to on sale in early April 2019.